My friend Gideon Shalwick has just opened the door to his new Rapid Video Blogging private video coaching program and he’s got a great fast action bonus that you will want to take advantage of. If you sign up for Rapid Video Blogging within the next 24 hours, Gideon will toss in his Become A Blogger Premium program for free! Become A Blogger Premium is a six month long video course on how to become a blogger. It compliments the Rapid Video blogging program perfectly and together, they will give you the foundation to create a really big money making blog. Become A Blogger Premium normally sells for $282 but you will get it FREE if you order Rapid Video Blogging in the next 24 hours. I WILL HELP PROMOTE YOUR NEW VIDEO BLOG! Getting a free $282 course is a great deal but I will include an extra incentive. If you order Rapid Video Blogger via my link in the next 24 hours, I will help promote your new video blog by giving you a $500 review on John Chow dot Com for FREE! Imagine the boost your new blog will get when I expose it to over 100,000 readers and over 55,000 Twitter followers! Add it all up and you have $782 of free bonuses! But you have less than 24 hours to take advantage of this so don’t delay. Click the link and get Rapid Video Blogging now! 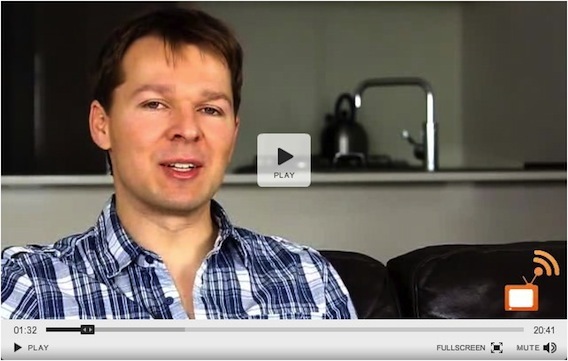 Rapid Video Blogging is covered by a 60 days no questions asked money back guarantee. Try the course for 60 days and if it’s not everything you hoped it would be, send Gideon an email and he’ll give you all your money back. You have nothing to lose and everything to gain. But the clock is ticking so act now and I’ll see you in the VIP members’ area!